The Port of Olympia and City of Olympia are partnering with the Nisqually Indian Tribe for their July 30 Canoe Journey Landing in Olympia. 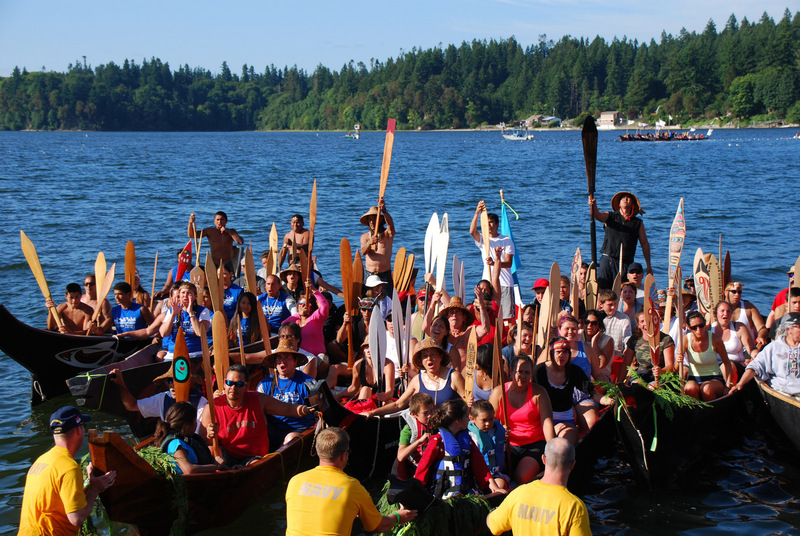 The City of Olympia and the Port of Olympia are proud to partner with the Nisqually Indian Tribe as they host the 2016 Paddle to Nisqually Canoe Journey landing in downtown Olympia on July 30, 2016. 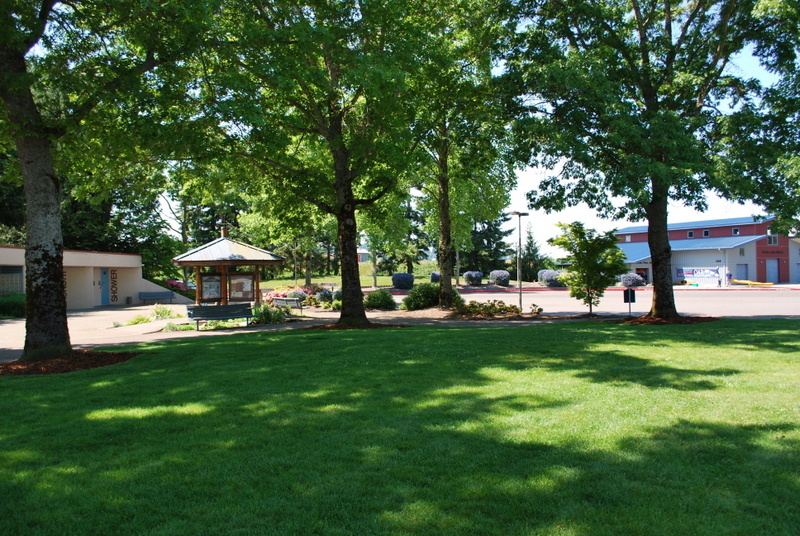 “The cooperation between the tribe and Port of Olympia and City of Olympia is good and much of the downtown planning is being completed by them for the July 30 Landing Day,” said Farron McCloud, Chairman of the Nisqually Indian Tribe. The Landing Day events will take place at NorthPoint at the tip of the Port of Olympia peninsula. 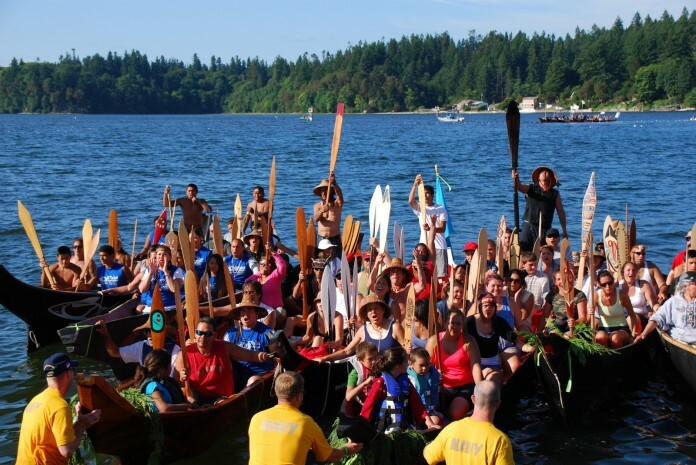 The tribe is expecting approximately 18,000 people to attend and witness the landing of more than 120 canoes representing more than 50 tribes from the Pacific Northwest, Canada, and Alaska. Taking the DASH is a great option for downtown events all summer long. “The City of Olympia is honored to partner with our neighbors, the Nisqually Tribe, and support this historic cultural event,” said Cheryl Selby, Mayor of Olympia. Parking/Free Shuttle – The public can find parking in designated downtown parking lots or on the street. Access to Marine Drive will be restricted beginning at the Marine Drive – Jefferson Street intersection and the Market Street – Franklin Street intersection where a free shuttle service will begin at 10:00 a.m. 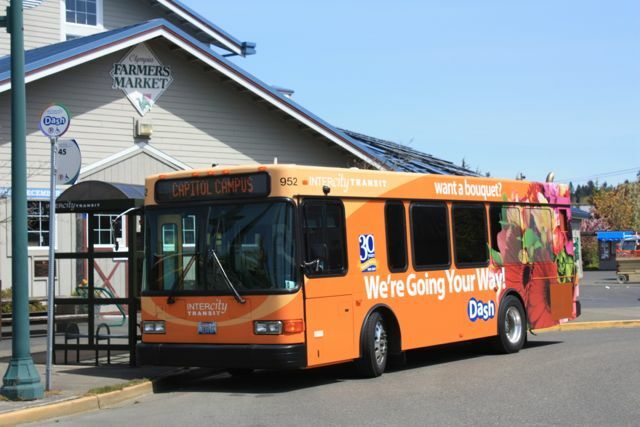 The DASH bus will run its regular route with stops at the Farmers Market. Launch Ramp-Moorage Closures – The Swantown launch ramp will be closed on July 30. The nearest launch ramp is Boston Harbor Marina. Swantown and Port Plaza guest moorage will be reserved for support boats from July 29 through August 8. Food – Food and merchant vendors will be available at the site and the Hearthfire Restaurant will remain open with reservations recommended. Green Event – Organizers are working to make Landing Day a green event. Attendees are being encouraged to bring their own water bottles to the venue and a priority has been placed on recycling and recyclable materials. The public is invited to celebrate the landing at the Port of Olympia’s shady park at Swantown Marina. Volunteers/Food Vendors – The Port and City are seeking volunteers and food vendors for the July 30 event. To sign up as a volunteer or vendor for Landing Day, July 30, visit the Port of Olympia’s website. From July 31 to Aug 6, 2016 the canoe journey events will move to the Nisqually Indian Reservation where most of the protocol events will be held on a 40-acre site prepared for seven days of dancing, storytelling, visiting, and protocol. Planning and implementation of this part of the historic event is being completed by a canoe journey committee composed of volunteers and employees of the Nisqually Tribe, under the direction of McCloud and Nisqually Tribal Council.